While there are still weak areas, the overwhelming feeling amongst the children was that they had improved in most subjects, especially English. They feel their confidence has grown greatly because of the public speaking they have been doing. The children enjoy coming to Amatelaz and some mentioned their school teachers had praised the work we do. 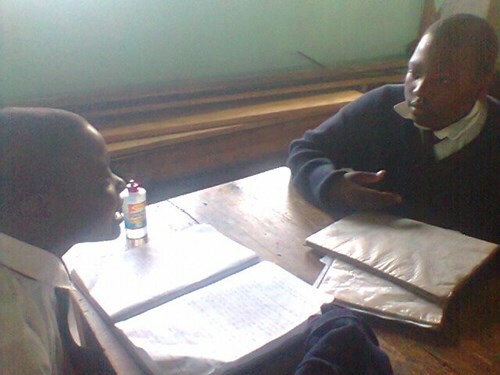 Tariro – Maths was my hardest subject but with help from Mr Mashamba and Mr Cris, it is now my best. My language skills have improved. I used to be shy but I can speak in front of other pupils now. I am still short tempered though. My school marks have improved and I am no longer the lowest in class and I now help other students. Doreen – Only my English is improving as we can read books. We need more teachers for the subjects. Hellen – I have improved as I am no longer shy to speak in front of people and my vocabulary has improved as I am reading novels. I keep quiet and listen in class now without making a noise. I used to have some confusion in English pronunciation but I think I can speak fluently now because of all the public speaking I do. Having a library at AHC helps me to improve my vocabulary. Faith – AHC is a wonderful club to come to because you are free to ask questions but at school you cannot because of pressure. I have improved a little. Jane – Coming to the HC is helping me with most of my subjects and they teach me not to be shy when reading or speaking in public. I achieve better marks at school I think. Sarah – My language skills have totally changed but my weakness is that I am still not confident and that makes me shy some times. Most people would wish to be part of AHC. It would be good to have a few specialist teachers but Mr Mashamba does his best for us and I really appreciate that as I am improving in all subjects. Prince – Coming to AHC helped me to pass G7 and trained me to be a confident speaker. When I was in primary school I didn’t know how to write language well and now I am very good and I am the best student in class. AHC helps me by providing books, food, love, care and guidance. I am better at comprehension skills now. Angela – My social behaviour has not changed because I am still doing what I was doing before but my English skills have and I admire the centre. I was not good at reading but I am now. Even people at school admire it because of how we are improving. The people are patient and kind. From all of us at Amatelaz, thank you to everyone for your support. With your donations we will be able to continue to help keep these children learning.